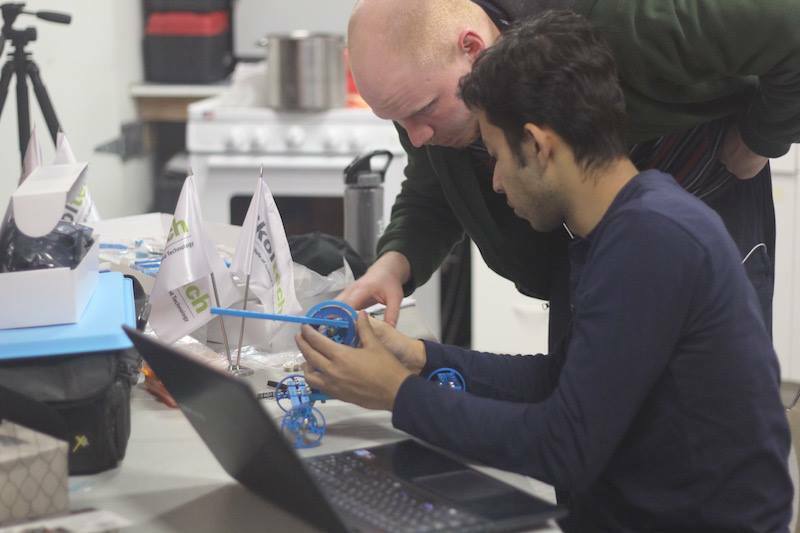 Skoltech | Mars: mission accomplished successfully! Skoltech students get to do a lot of cool and interesting things, apart from working alongside with internationally renowned scientists: Launching stratospheric balloons to near space, taking part in actual big-scale international projects, studying abroad in exquisite universities, pitching at competitions and lately – Wearing space suits and exploring Mars. 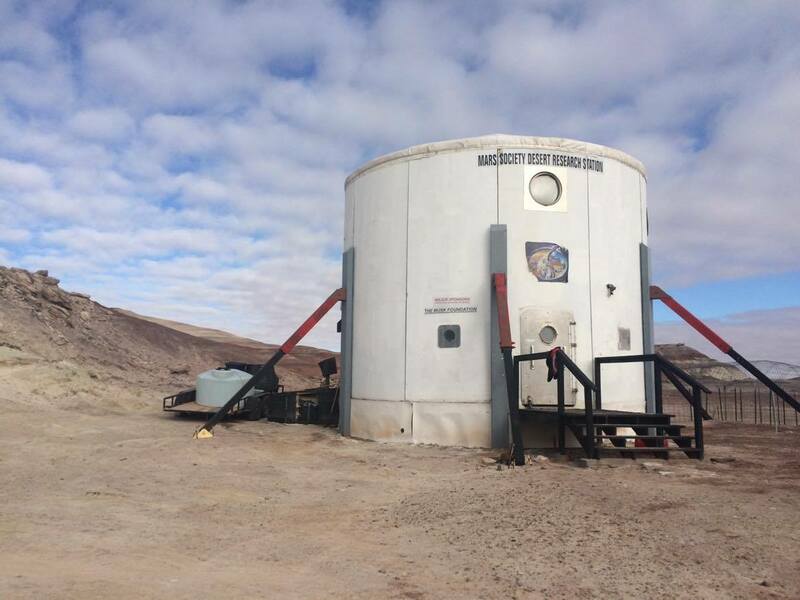 On January 9th, five young and ambitious students stepped into the Mars Desert Research Station (MDRS) in Utah USA, a simulated Mars surface exploration habitat. A few days later they were joined by Mahbubur Rahman, another student, for a once in a life time scientific adventure. 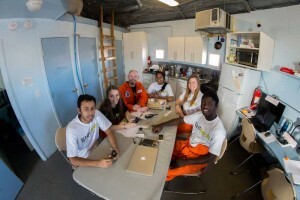 Members of Crew 161 meeting for the daily briefing inside the Mars hab. Going out for an EVA. A view from the Mars Hab. Crew engineers working on the robot “Red ARM 1”. Soil analysis – Commander Divya studied the Mars regolith with a focus on the chemical composition of the various soil samples. 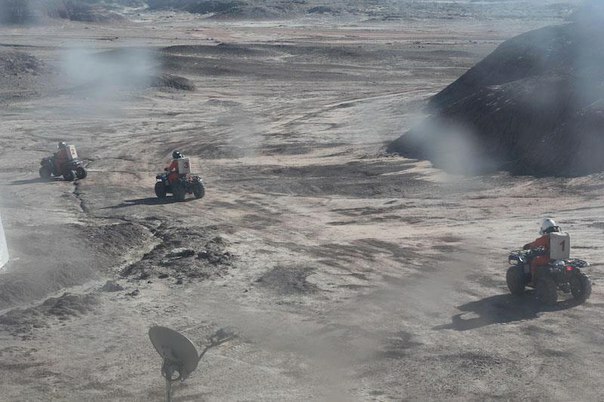 Robotics – the crew engineers, Mikhail Khmelik and Mahbubur Rahman, developed a robotic arm (named “Red ARM 1”) that was be able to perform autonomous scooping of soil samples with varying shear strength. Plant studies – The crew biologist Natalya Glazkova studied plant growth, mainly radish and peas, using a variety of soil samples collected on the Red Planet. During their time there, the team maintained a routine schedule of work within the Hab – research, engineering checks, soil analysis, observations, reporting etc., and work outside, in the Mars-like hard terrain during EVAs (Extravehicular activity) – mainly for collecting “Martian” soil. In between the tasks, they had some time to socialize and get as much sleep as possible. Apart from their designated projects, the crew members faced other aspects of living on Mars: psychological, social, operational and nutritional. They had to adjust to spending time in a confined space, passing the time in shifts, at times all alone in the observatory. They were limited in resources like water, gas and internet, and during the EVAs they were limited by the heavy space suits and helmets. If you want a taste of that, just put on your thickest gloves and try typing something on your keyboard. So, how do they sum up their experience? 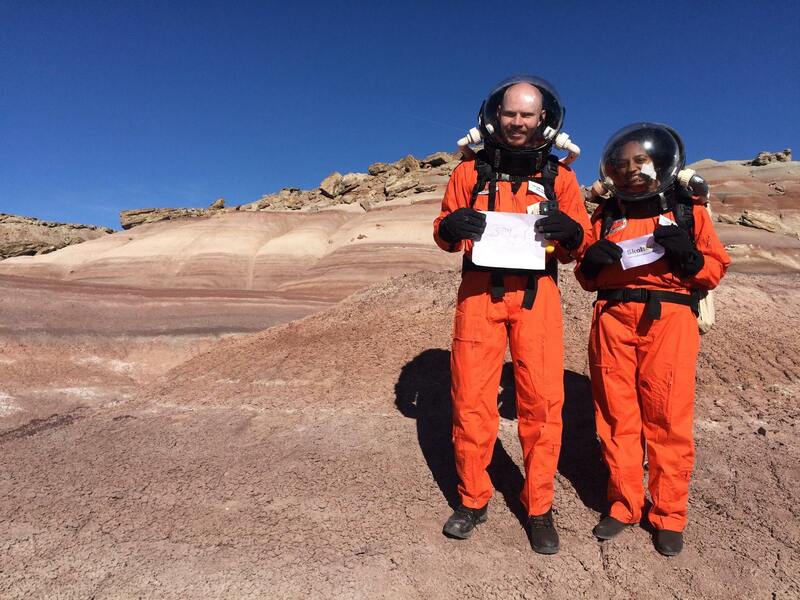 Divya Shankar (team captain): “As commander of Crew 161, it has been a great honor to lead this team of highly-talented individuals to push the boundaries of our understanding of Mars. As a person, I learnt to lead by example, listen to all crew members and gauge every decision as per what’s best for the team. I am glad that our mission has been hugely successful: we formed life-long friendships and made some important progress with our research projects”. Natalia Glazkova (Health and Safety Officer/ Biologist): “Overall it was definitely one of the greatest learning experiences with an opportunity to apply knowledge and explore my own capabilities. I’m very thankful to my most amazing Crew and Mission Support that helped to easily overcome all the challenges and made my stay on the Red Planet unforgettable”. Crew members using the Musk Observatory’s telescope. 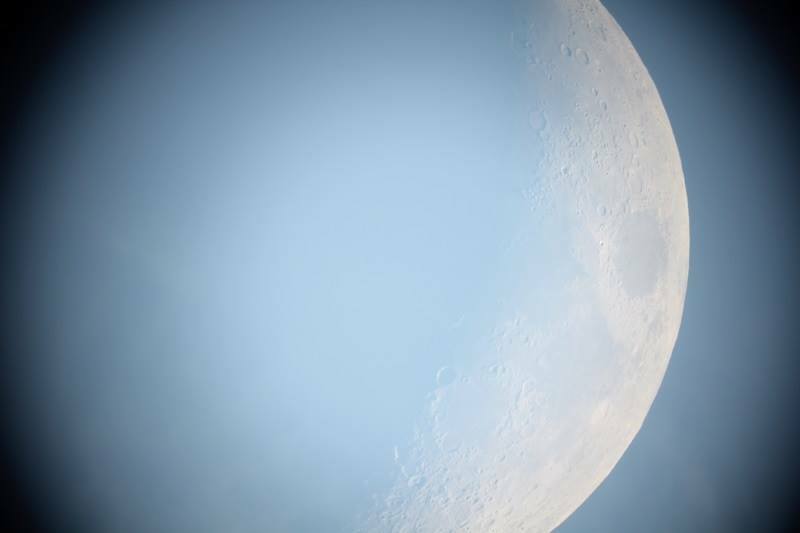 And this is the moon, as seen from the telescope. Aldebaran by the Moon because of the weather. 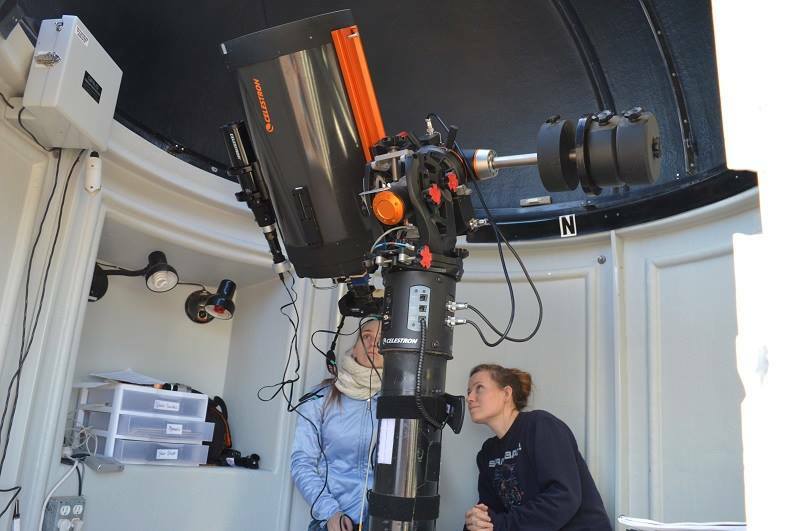 It teaches to plan astronomical observations more carefully even in the most promising place in terms of the weather”. Adeniyi Adebayo (executive officer / journalist): “I learnt a lot from the other crew members: assembling a robot from our crew engineer, making pancakes and tending for plants from crew biologist, the wonders of astrophotography from our crew astronomer and lots of interpersonal skills that cannot be quantified through leadership with our crew commander. I thoroughly enjoyed my time here at MDRS and will be taking home with me a myriad of stories about Mars, our crew and our research projects”. Mahbubur Rahman (engineer): “Spending time with different crew members, discussing and understanding each other’s points of view on different topics, has been a great input to my personal worldview. This is an experience I will never forget”. Mikhail Khmelik (engineer): “This trip to Mars was one of the most exciting and intense for me. I understood, that even though space exploration is very romantic, it is a very difficult job. However, I’m eager to continue pushing the limit and maybe one day become a real Martian engineer”. On behalf of the whole team, they published these words: “The crew expresses its immense gratitude to our alma-mater: the Skolkovo Institute of Science and Technology for the amazing opportunity to be at the frontiers of space research and exploration”. 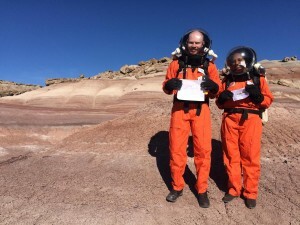 If you would like to dive into the complete details of their mission, you can read their daily reports, as published on the MDRS website (filed under “Crew 161″).